We were delighted to host two visitors from National Assistance League: Judy Parker and Cindy Schaldenbrand. After lunch on Thursday, we provided them with a tour of our new Thrift Shop. 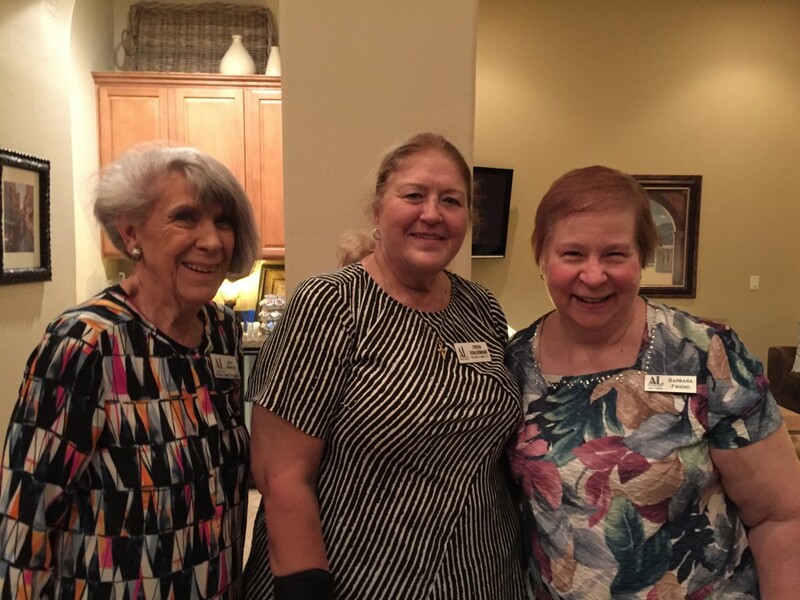 That evening, Alexis Kapela, VP Membership, graciously hosted the Board’s “get acquainted” dinner at her home. On Friday, we had a daylong meeting highlighting our chapter’s philanthropic programs, fundraising events, and other committee activities. We also shared the process plan we developed which orchestrated the very successful move of our Thrift Shop to it’s new location. We greatly enjoyed Judy’s and Cindy’s visit.